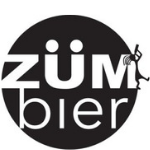 ZümBier » Events » Hoppy Time Release Party! Join us Friday 3/3 beginning at 3pm for the release of our 10% honey ale loaded with hops, Hoppy Time! On draft and in bottles in the taproom. Get it before it’s gone! Best enjoyed fresh.